Today we started making the new solar racks for our existing(new) system. These racks will replace the current racking system an – off the shelf – flat racking system. After looking at the rack of the ‘old’ system, I decided that we would stick closely to the original design and build very similar racks for the ‘new’ system. 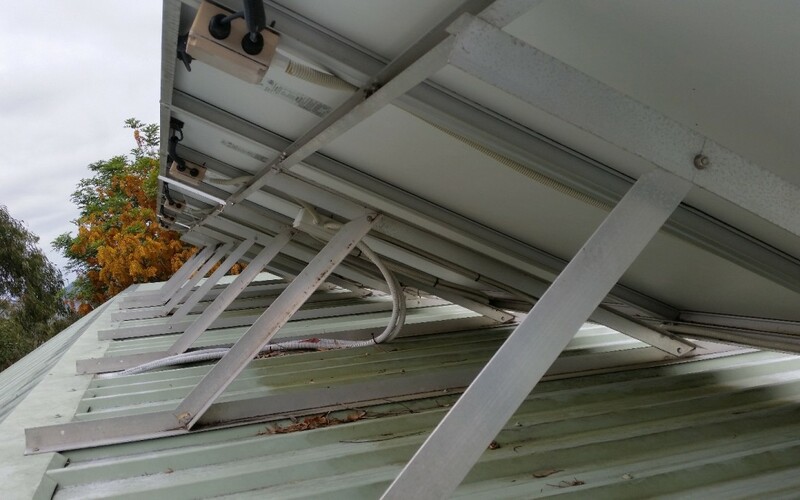 The racks are comprised of angle aluminum, that forms the the supporting base and adjustment elements, and channel aluminium that connects the panels to the rack. You can see the elements in the images below. 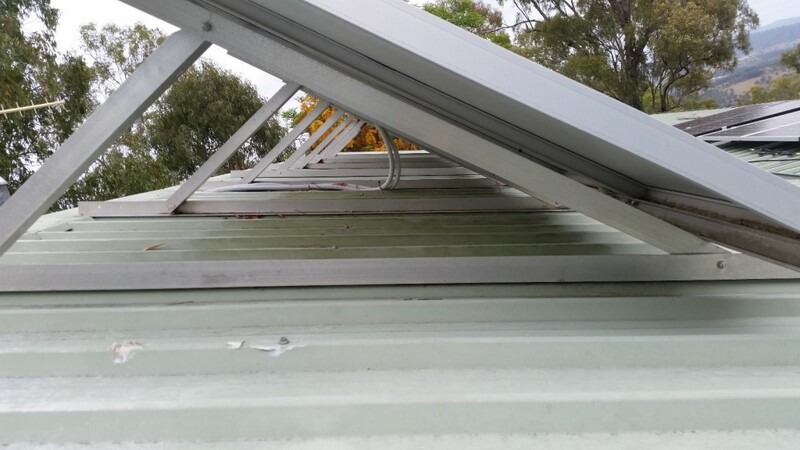 Firstly we had to acquire some angle and channel aluminium. That was a bit of a trial due to the fact that we needed a significant amount. 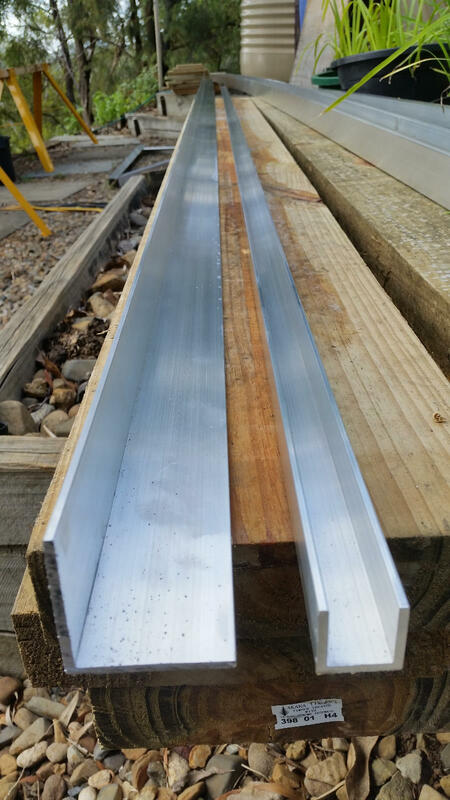 The local Bunnings and Masters simply did not have the quantities and types of extruded aluminium that we needed. So we had to go to a bigger supplier – Blackwoods – at Yatala. 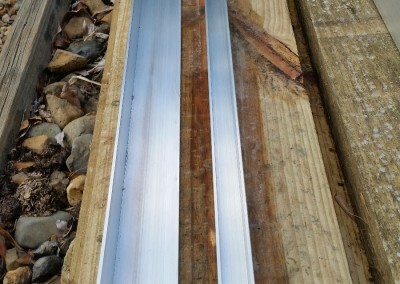 Without to much mucking around we were able to get the aluminium we required and order to pick up only took a few days. The aim is to build 3 racks, that support 4 panels at a time. After doing some extensive checking and calculations we worked out how much of each aluminium element we needed and made some small adjustments to the original design to save a few dollars. Luckily we are use to transporting things that are long. 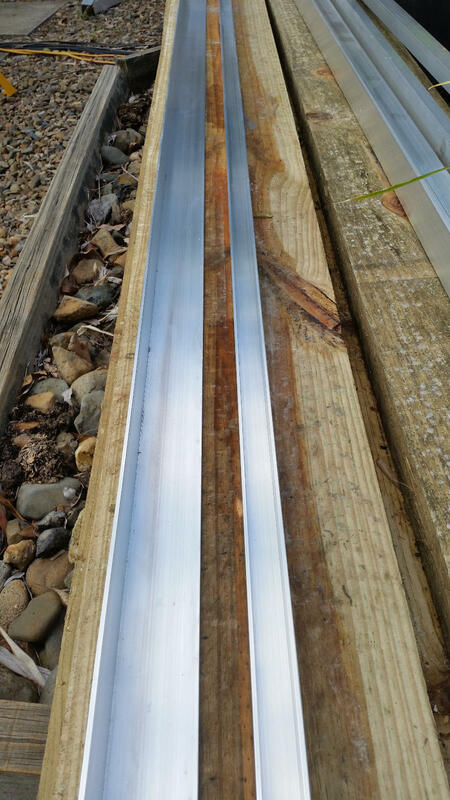 So 12 x 6.5 meter long bits of aluminium was not a big ask. 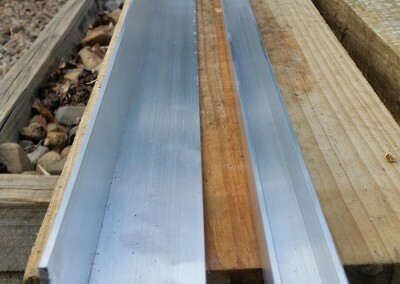 We had gone over the calculations and measurements many times before we purchased anything, and before making the first cut I went over them again. I felt sure that we had purchased the right elements and made the right assumptions and measurements to build the racks as we required. 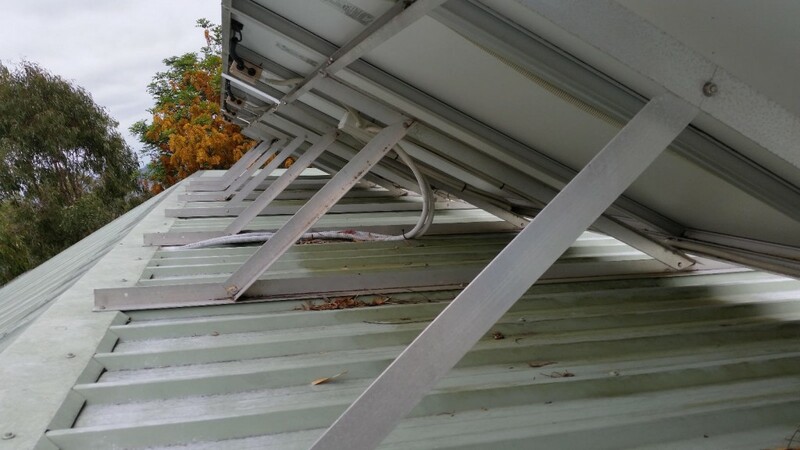 But… with a little re-calculation and after checking some solar angle details, I feel we might have a restricted the flexibility of the system a little by trying to save money. Time will tell. 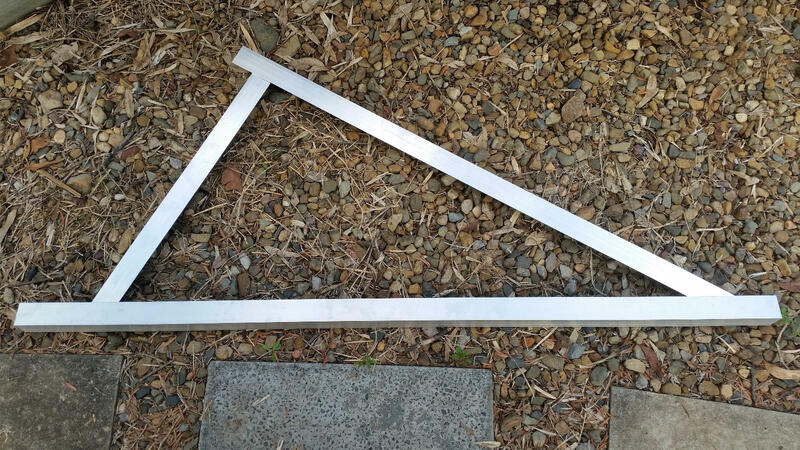 The basic structure is an adjustable triangle with horizontal supports for the panels. Which looks something like this. We made the first cuts today, and did some more calculations on required lengths, angles, and solar panel tilt, so we haven’t made much progress yet. But we want to get it right and make sure we maximise our solar efficiency – for a fair price.